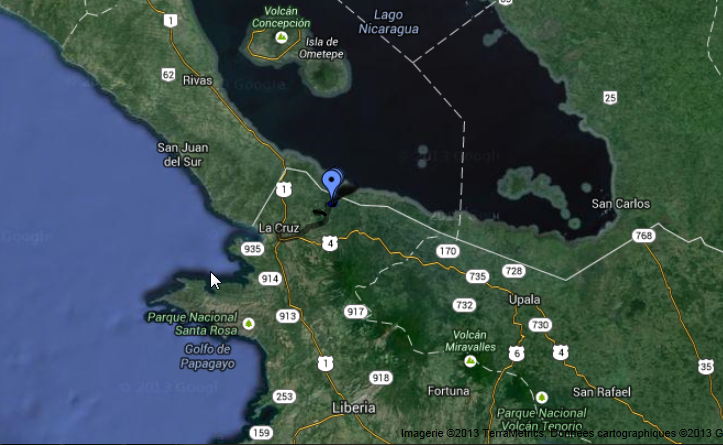 Our lodge is located in a lesser-known area of Costa Rica, in the North of Guanacaste province, close to the Nicaraguan border, 25 km North East of "La Cruz" and 5 km away from the nearest village, "Los Andes". It's not easy to get to our estate, and that will guarantee you a peace you will cherish. You won't need a car to get here, though, and you won't need one once you've arrived. 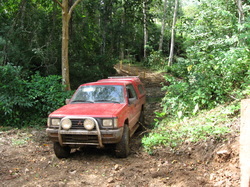 We will come and pick you up from La Cruz and bring you, free of charge, to our lodge. Depending on the season, we will pick you up in our specially equipped 4x4 or on horseback, and that will be one of the highlights of your visit, both because of its novelty and because of the magnificent views we will treat you to. 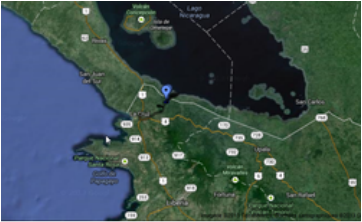 We also offer a transfer service from the international airports of de San José (6 hours) or Liberia (2 hours) or from the frontier post at Penas Blancas (1½ hours). Call us in advance to find out our prices and arrange for your pick-up.